The Holiday Orchestra Concert with 5th and 6th Grade Orchestras directed by Ben Culver. The concert (which was the first one for the 5th Grade Orchestra) featured Les Sharon, David Raft and Laura Washington as narrators. 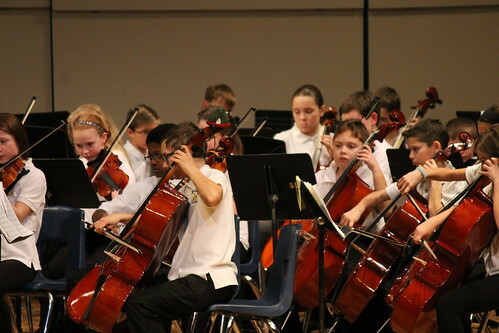 The concert was at the Saline Middle School.